I hope you are as excited as we are about the upcoming Vendor Night at the shoppe! Mark your calendar for every Thursday. Better yet, grab some gals and make it a night out. Good restaurants are around the corner! 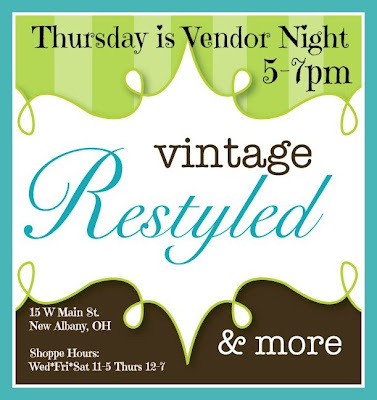 The complete line up of vendors is available in the shoppe and will be shared weekly here and on FB. In the meantime, I am working toward the October 4, Rural Society Show. I scored a drop leaf table recently. It was shabby, painted and kinda boring. You can see it in the top left. It has a white top and cream legs. 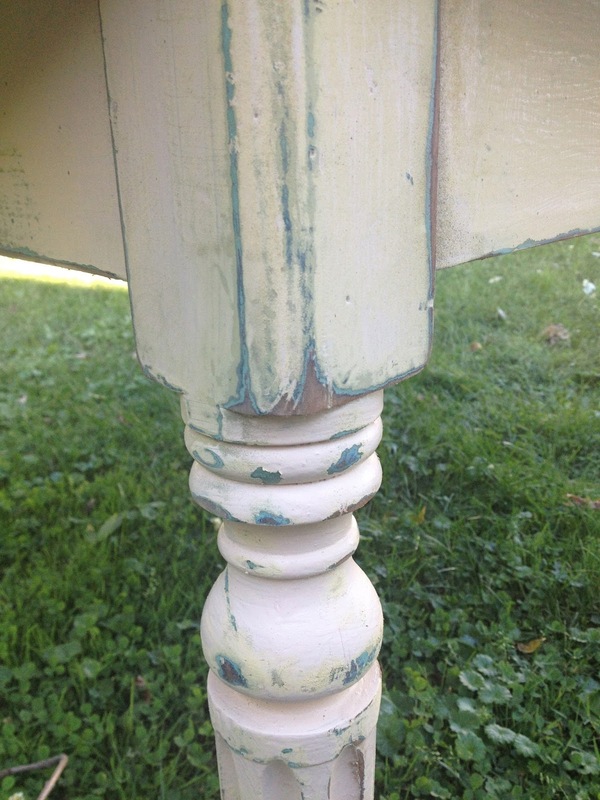 When I moved it, I spied a spot of green paint. I busted out my handy dandy palm sander and roughed it up. So much better! Lots of layers of paint are visible. She now has character and a bit of charm. Landing at The Rural Society Show.